Now supports Virtuemart 3 and Joomla 3. 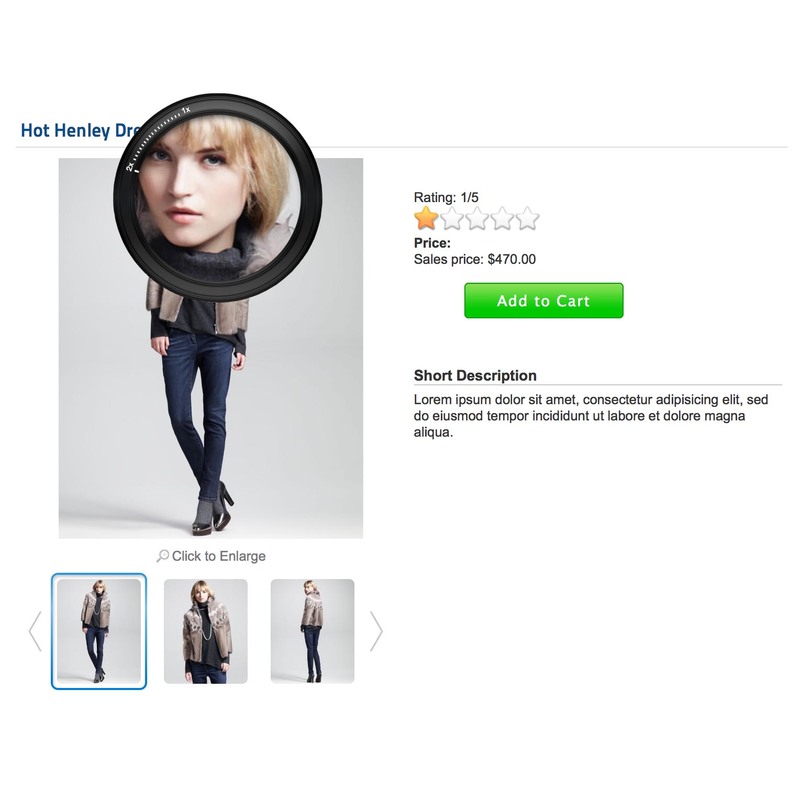 Flexible Zoom Effect for Virtuemart provides zooming functionality for the product pictures. 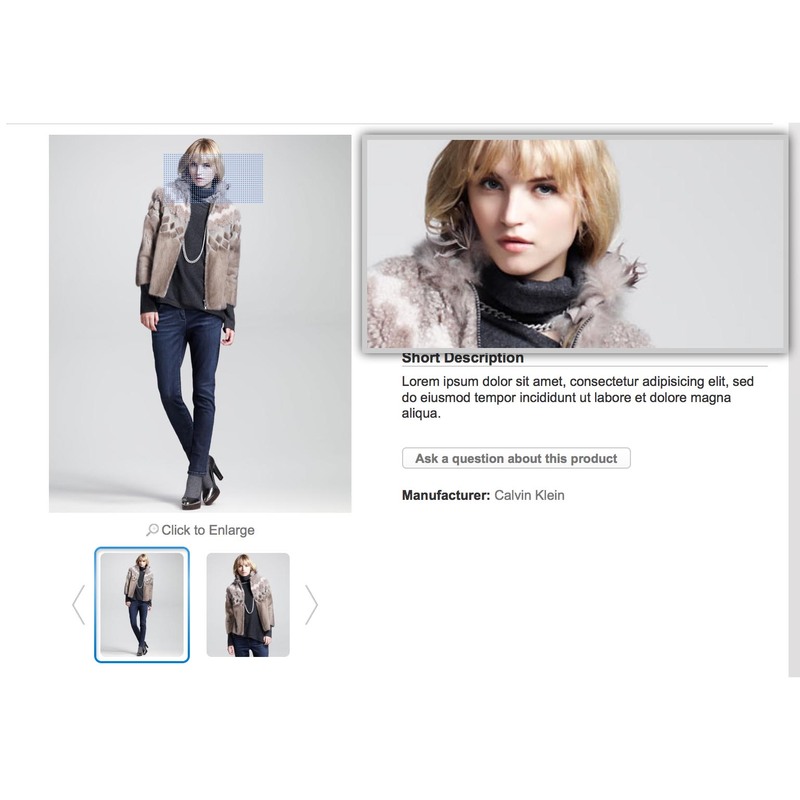 It also comes with modal popup upon clicking and slider for additional product pictures. TIP: With an additional $39, you can get our awesome Virtuemart Template - CleanMart, which already includes (built-in) zoom effect that is similar to Flexible ZoomEffect, click to check out CleanMart. 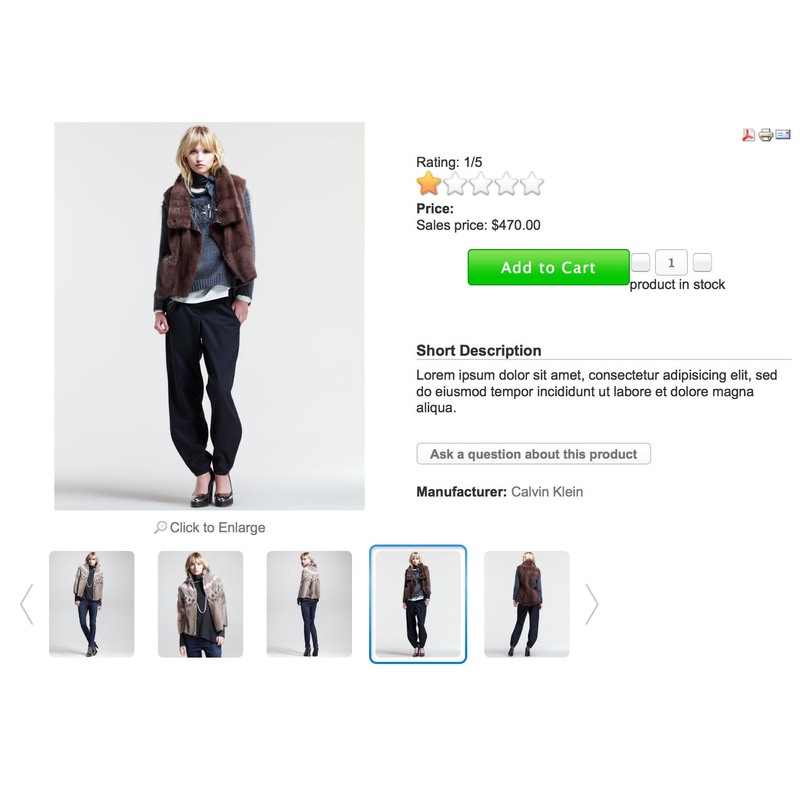 Add a nice zoom effect to product pictures in Virtuemart. We have received (5 out of 5 stars) from 25 real users. Please browse extensions.joomla.org to see the customer feedbacks about our Virtuemart Zooming Effect extension. This functionality was one of the most wanted features in our Zoom Effect Extensison. Finally we did it. From now on; our zooming effect extension doesn't just zoom pictures when mouse-hovered, but also opens them in a modal popup when they are clicked. 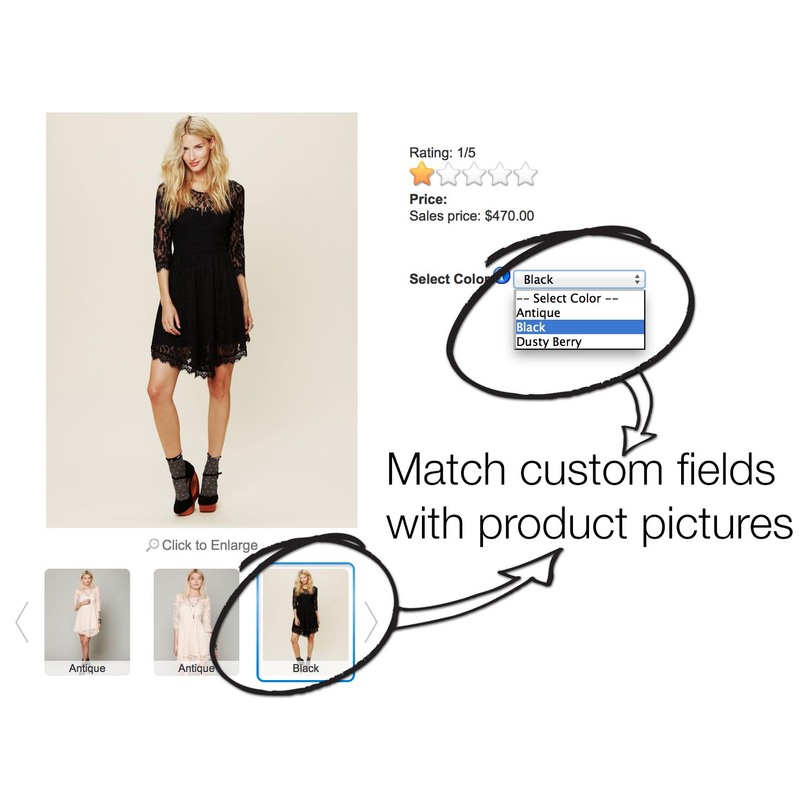 Zoom Effect changes the product image as visitor selects the specific custom field. For instance; when the "BLACK" color is selected in the custom field, the product picture that is assicated with that custom field (BLACK) will be changed automatically. Flexible Virtuemart Zoom Effect is supported by all modern browsers as well as IOS, Adnroid and Tablets. Please browse the demo with your tablet or smartphone to see how our Zoom Effect is working with your mobile device. 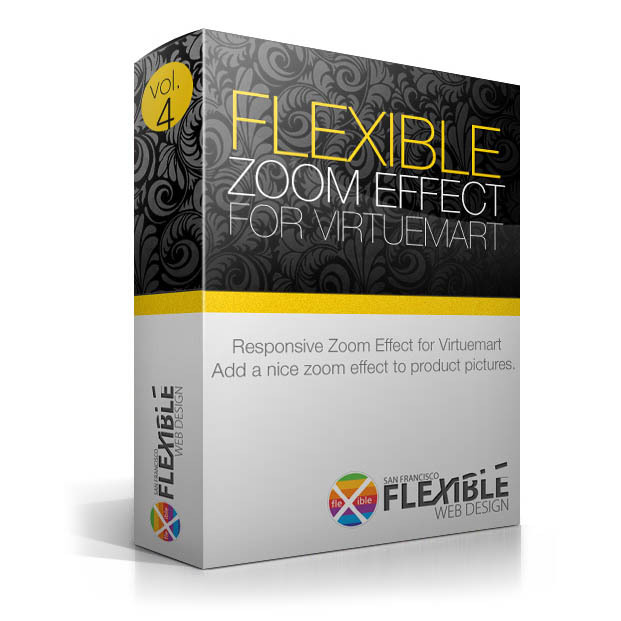 Flexible Virtuemart Zoom Effect comes with 3 different Zoom Type: Window, Lens and Inner. Please browse our live demo to view them in action. Flexible Virtuemart Zoom Effect has user friendly back-end interface and many useful customization parameters. No need to be a coder, just change the parameters and customize the zoom effect. Flexible zooming effect zooms the parent or additional images when they are mouse hovered. Opens Lighbox modal popup when Clicked. Flexible zooming effect activate the Modal Popup upon clicking the thumbnail and lets you navigate back and forward through additional images. If your large pictures are not large enough, you can enable the MouseWheel zoom to enable the digital zooming. The zooming window and Lens appears/disappears with a nice fade-in/fade-out effects. Alter the smooth move paramater in module configuration. While the mouse is moving on thumbnail, the zoomed pictures in the zooming window will move smoothly. If you fill out the SubTitle fields for pictures, those subtitles will be appeared for each thumbnail individually. If you have too many additional pictures, there is a built-in carousel (slider) extension for you. There are 3 different zoom types. You are going to choose the one that you like the most. If you want to make things more colorful, then the Tint functionality is for you. You are allowed to adjust the lens opacity through module parameters. 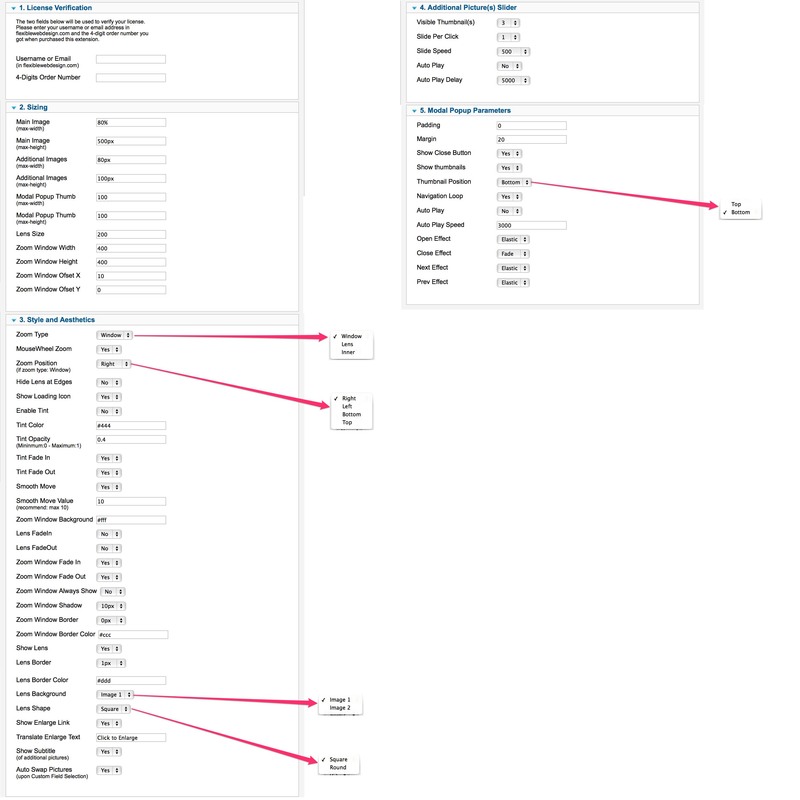 You can position the zooming window by submitting X and Y values, corresponded to thumbnail. 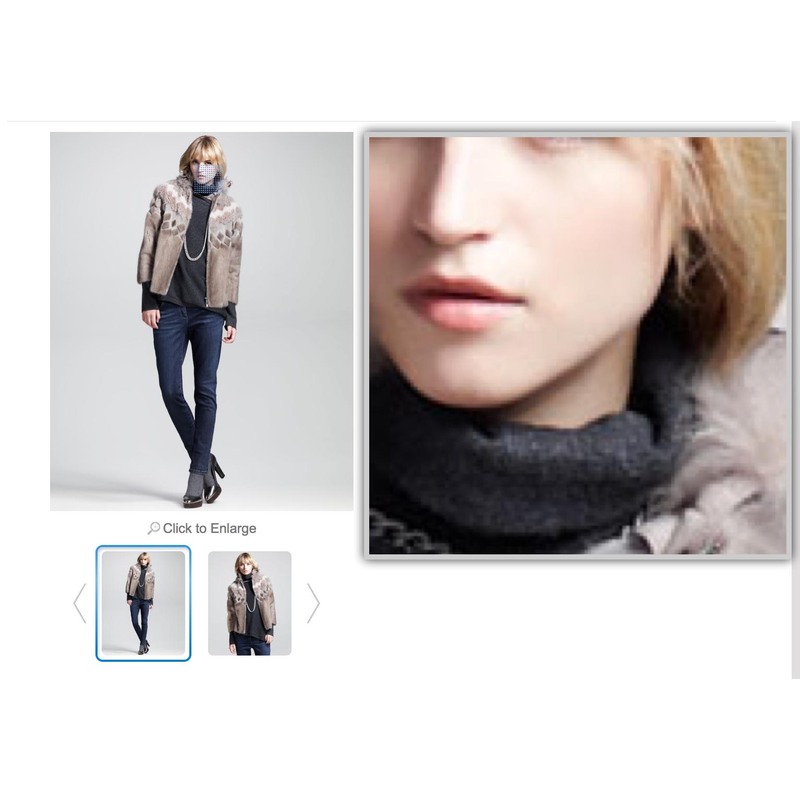 Flexible - Virtuemart Zoom Effect on Product Page Extension: Nice zoom effect to main picture and additional pictures on product detail page. IMPORTANT NOTICE 2: Extension comes with 2 TUTORIAL.PDF files to show the installation procedure; one for Virtuemart 2.x and one for Virtuemart 3.x. You should read this TUTORIAL.PDF first, before doing anything! The installation procedure is extremely easy and even newbies to web development can handle it. But in case you couldn't, we would install the extension to your website for free. Just contact us and request free installation service. - There was a picture loading problem after updating to VM3.0.12 or higher. This problem has been fixed. ZoomEffect is now compatible with any version higher than VM3.0.12. CleanMart Virtuemart Template and Flexible Zoom Effect are the best off all the ones I have tried thus far. It was exactly what I would expect. Documentation was clear and explained the whole setup process very well. Best thing about this is the support offered, was absolutely amazing!. Any questions or concerns I had, was answered immediately and he is honestly the best developer I have ever dealt with. La Extensión es EXCELENTE y cumple lo que promete, un cliente vio el efecto de zoom en Amazon lo quiso para el, y pudimos ponerlo en su carro de compra. No nos funciono en la primera instalación por lo que pedimos soporte, fue muy buena la atención, oportuna, ellos mismos entraron y ayudaron a que funcionara el plugin. Thank you very much. 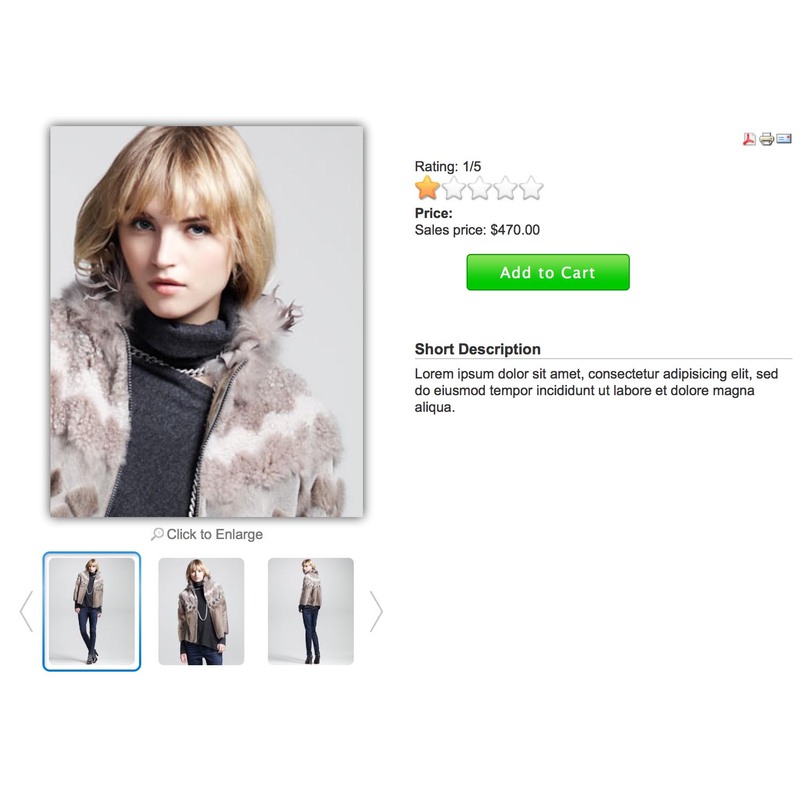 Thank you for "Flexible Virtuemart Zoom Effect on Product Page"-Module. Very easy to install and the best: Amazing technical support even after several YEARS! Great product and great company! Thanks for Flexible Team!This is a perfect plugin for everyone! !I very like this!! and your fast-support!! Proffesional Technical Support and perfect module. The Team knows excactly what they are doing.Thank you very much! Great extension and excellent job for the team! A useful feature for every e-shop that can be set up very easy. But the best part is the support team!!! which was very quick and ready to provide us the best solutions. The product is excellent! and support also resolved my issue quickly! A very happy customer here. Plugin works really well and the user experience is elegant and smooth. Support team is very helpful, they helped me configure the plugin and rectify every single issue. Really appreciate their prompt responses and assistance. One of the best support teams I have ever worked with. Excellent product and service, I am very satisfied! Form very nice and works well. Had a few issues, support quickly resolved. Sipporto 5 star deserved. Thank you. Good module, good price and very good support.Thank you very much. To begin with, I thank you for such a wonderful development! It's actually great! Very comfortable in the settings, quality and pleasurable effects. With proper treatment can be customized to your needs, which is very, very important for every person. Good people working in this business. They helped my very fast.I feel very happy for this. Zoom Effect is very good for my new virtual shop.Thanks. :)Estupenda gente trabajando en esta empresa. Me ayudaron mucho con la configuración del plugin.Estoy muy contento y agradecido por ello. Zoom Effects es un buen plugin para dar un aspecto profesional a mi tienda online.Muchas gracias. I think is the best extension for joomla zoom. It has an amazing technical support to answer all your questions. Easy to use product and, most important, Best customer support ever !We all know that Virtuemart is painful, but support team from Flexible makes it easier. Great product. I will it could be used on the pages that display all products in a category.